Abstract: This talk will review recent advances in high repetition rate soft x-ray lasers that allow the generation of very high brightness soft x-ray beams using table-top set ups. The peak spectral brightness of some of these new lasers can surpass that of third generation synchrotrons by orders of magnitude in the 25-100 eV photon energy region, enabling new applications. These advances include the demonstration of 5 Hz repetition rate table-top soft x-ray lasers producing intense beams at wavelengths ranging from 13.2 to 32.6 nm, and the observation of lasing at wavelengths down to 10.9 nm. The results were obtained by collisional electron impact excitation of highly ionized atoms in dense plasmas efficiently heated with picosecond optical laser pulses of only 1 J energy. The recent demonstration of seeding of these soft x-ray laser amplifiers with high harmonic pulses has further increased their brightness and improved their spatial coherence. In a separate development, the first of a new generation of extremely compact desk-top size capillary discharge soft x-ray lasers was demonstrated. It emits intense pulses of lambda= 46.9 nm light at 10 Hz repetition rate producing an average power of ~ 0.15 mW. The laser occupies a table area of about 0.4x0.4 m2. These new compact lasers are allowing a number of table-top experiments with intense soft x-ray light. These include the demonstration of broad area imaging with resolution down to 38 nm, nanoscale ablation of material, single photon ionization spectroscopy of molecules and nanoclusters, the metrology for the fabrication of the future generations of microprocessors using extreme ultraviolet lithography, and the diagnostics of dense plasmas by soft x-ray laser interferometry. Moreover the compact size of these new laser sources promises to make intense coherent soft x-ray light widely available, opening doorways to intense coherent soft x-ray science experiments on a table-top and to the development of new nanoscale metrology and processing tools for industry. Biography: Jorge J. Rocca is a University Distinguished Professor in the Departments of Electrical and Computer Engineering and of Physics at Colorado State University. He serves as the Director of the National Science Foundation Engineering Research Center for Extreme Ultraviolet Science and Technology, a consortium between Colorado State University, the University of Colorado, and the University of California Berkeley. His research interests are in the development and physics of compact Soft X-Ray lasers, the applications of coherent Soft X-Ray Laser light, and the study of dense plasmas. He has conducted research, published more than 170 papers in peer review journals, and given numerous invited talks worldwide on topics related to short wavelength light sources, lasers, and plasmas. His research group made the first demonstration of a high average power tabletop Soft X-Ray laser and has since made demonstration of numerous applications of such sources. Prof. Rocca has been elected Fellow of the Optical Society of America (1997), of the Institute of Electrical and Electronic Engineers (2000), and the American Physical Society (2006) for his work with tabletop soft x-ray lasers. 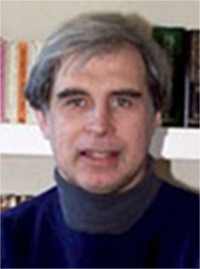 He has served as Associate Editor of the IEEE Journal of Quantum Electronics for 1994-1999, as a Guest Editor of the IEEE Journal of Selected Topics in Quantum Electronics, and as a member of the Editorial Board of the Review of Scientific Instruments. He has co-chaired several international conferences on X-Ray Lasers, including the 2002 8th International X-Ray Laser Conference held in Aspen, CO. He was elected IEEE LEOS Distinguished Lecturer for 2006-07.